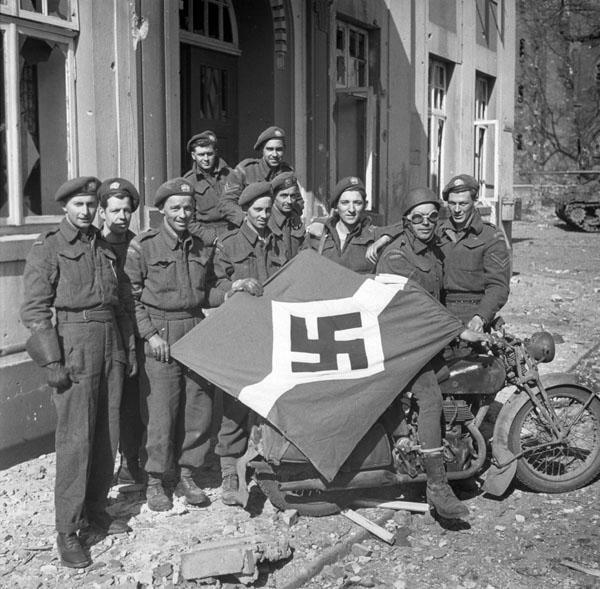 Personnel of The Lake Superior Regiment (Motor) with a captured German flag, Friesoythe, Germany, April 16th 1945. (In the group): Privates G.A. Visseau, T. Janakas, A.J.L. Poirier, E.H. Kanarr, G.A. Zeigel, G.E. Horn, Captains C.J. Crighton and E. Howe.